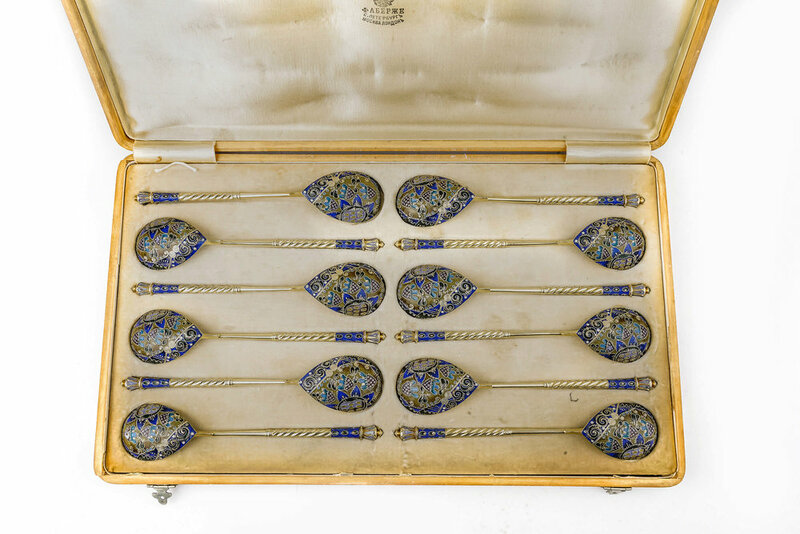 Set of twelve Russian gilded silver and shaded enamel teaspoons, Feodor Ruckert. 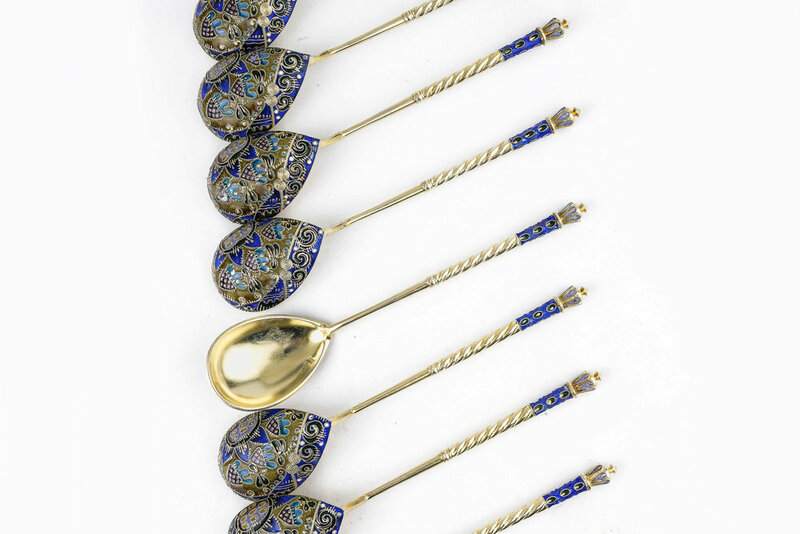 Set of twelve Russian gilded silver and shaded enamel teaspoons, Feodor Ruckert, Moscow, the backs of the bowls enameled with stylized foliate designs in olive green, lapis blue, pale lavender, turquoise, and black, the ends of the handles and finials enameled in geometric patterns in lapis blue, olive green, and pale lavender, marked with initials of master Feodor Rückert and 88 standard, one with scratched inventory mark 32644, contained in original Fabergé holly wood case, length 5 5/8 in. 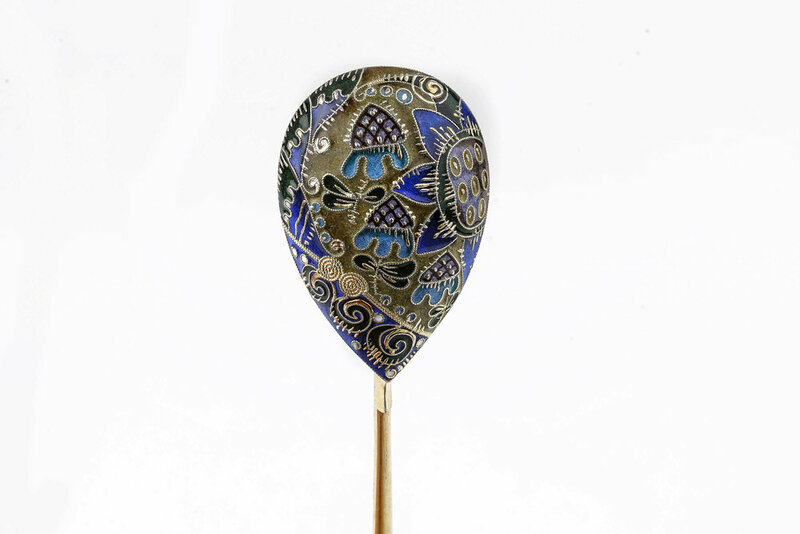 14.3 cm.